Painting Updates: The Women in Predicaments Series continues with the Women in Predicaments PROJECT to be exhibited in California and New York, starting in 2019. Blindness debuts at the Festival de Cannes Short Film Corner, May 2018. Blindness, acquired by Hewes Pictures, Inc. for national and international distribution, broadcasts on ShortsTV and DirectTV in North America, Europe, Middle East and North Africa regions. 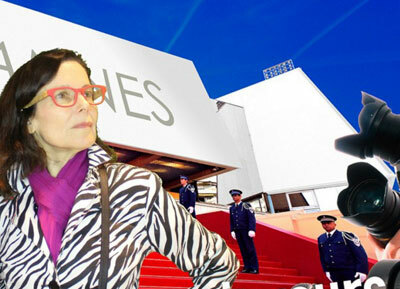 Interview: Blindness Director, Annette Cyr; Interview by the New Current, UK. Review: Variety: Filmmakers Strive to Raise Awareness of the Disabled in Entertainment by Malina Saval, Associate Editor. "A slate of short films depicting lead characters with disabilities has been making the rounds at film festivals worldwide, giving voice to a demographic mostly ignored in mainstream cinema and TV. "Blindness," Annette Cyr's impassioned study of a painter discovering she will lose her eyesight made waves at the Palm Springs International ShortFest this June..."